On our first boat, we didn't have a vacuum. On our second boat we had a small shop vac. We had a cat who would get litter all over our small floor space, and because we didn't want to sweep kitty litter into the cracks between the floor boards, we ended up using the shop vac all the time. On our third boat, we bought a Black and Decker Dust Buster. 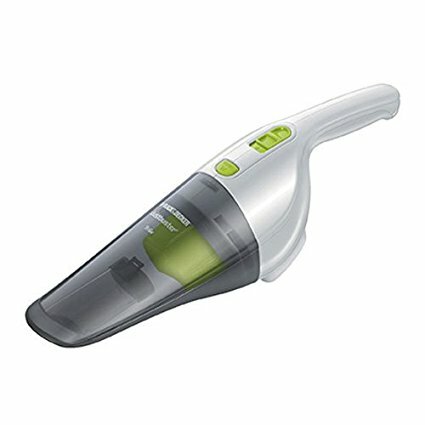 There are two versions of this dust buster. The less expensive, and more expensive version. We have the less expensive model. From what I can tell... there is no difference. Perhaps the more expensive version has a better battery. The main benefit to the dust buster over the shop vac is that the dust buster runs on battery, so we don't have to use the generator, inverter, or be plugged into shore power to run it. It's also nice not having to worry about the distance from the wall outlet. 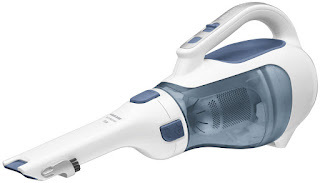 Whether outside, or inside, near or far, the dustbuster works. The dustbuster is also easier to grab really quick. The dust buster has a clear "dirt trap" that is super easy to empty. There is also a filter. You can buy replacement filters, but the filter is also washable. We've washed ours several times. With as dirty as boats get, on top of the mess that kids make at every meal time, we end up using our little dust buster several times a day. I'd recommend staying away from the BDH9600 pictured below. We had one of these at work and it stopped working within a few months.